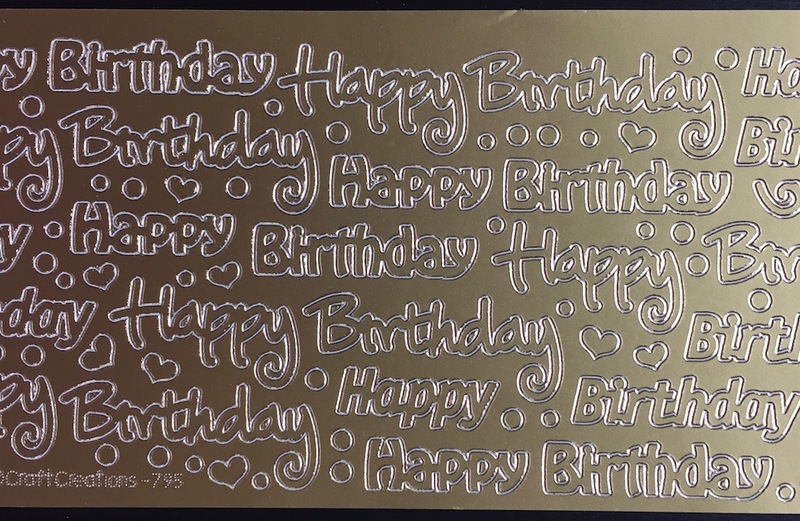 Gorgeous gold peel off sheet with Happy Birthday in a variety of contemporary fonts along with some small hearts, scrolls and dots. Use peel offs on card, paper, metal, glass and candles to create fabulous birthday cards and gifts. Also available in black and silver, can be coloured with permanent markers to match your colour scheme.